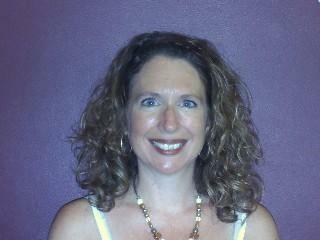 Dawn M. Brendle, MA works as an Autism Supervisor for Western PA Psych Care in Pennsylvania. Her dedication to helping children with pervasive developmental disorders and their families makes her one of the most valuable members of the autism community. Dawn has taken time out of her pressing schedule to provide helpful insight about her experiences working with children and teenagers diagnosed on the autism spectrum. What is the mission of Western Psych Care? At Western PA Psych Care, we seek to develop and implement the highest quality therapeutic services for mental health care to families living in western Pennsylvania. The goal is to improve the quality of life for affected individuals as well as their families. Competent and caring staff members help Western Psych Care to promote independent, strong individuals while promoting stronger families and stronger communities. I have been working with children with an autism spectrum diagnosis for the past 11 years. My role as the autism supervisor is to meet with families and staff on an ongoing basis to provide consultations, trainings and recommendations. My role is to ensure that the children with ASD (autism spectrum disorder) are receiving the best possible treatment and that the families are satisfied. I provide supervision and training to all staff that are working with children with an ASD. Are there any promising trends in autism treatments emerging? The most promising trend right now in autism is early diagnosis and early intervention. More physicians, teachers, mothers, family members, etc. are more familiar with the signs of autism and they are more likely to know where to get help now than they were 10 years ago. Ten years ago, getting a diagnosis took months, then months and even years for the family to even begin to know where to get help. As far as treatment goes, the most promising is still what it was 10 years ago, Applied Behavioral Analysis (ABA). The difficulty is finding trained staff to work with the kids. There are many more staff trained now than 10 years ago, but there are also many more children on the spectrum that need these services. What strategies do you find to be the most effective? I find that therapies and interventions that are tailored to the specific child's needs are the most effective. We do not "cookie cut" our treatment plans. They are based on the child's needs and strengths. Some children need more discrete trials (form of instruction derived from ABA) while some need the focus to be on social skills. Some children need fluency based instruction and/or verbal behavior, while others may need to focus on independent living skills. Whatever works best for the child is what we model and teach for the family. The family being involved is a huge part of success for the child. Do you have a favorite experience working with children on the autism spectrum? I have many favorite experiences. I work with kids from as young as 14 months to as old as 16 years, so my experiences with all the kids are vastly different. I have worked with non-verbal, aggressive two-year-olds who, years later, go to a typical classroom with no TSS (therapeutic staff support)! That is a wonderful experience. I have worked with older children who are able to be independent: cooking, cleaning, working a job, etc. That is also a great experience! There is nothing greater than knowing that you and your team have made a huge impact on this child's life and being thanked by the family. Seeing the joy, love and compassion in the families' faces when their child makes their "firsts" is priceless. How easily can behavior be mistaken as inappropriate when it really is? Some behaviors do get identified as "bad" behaviors with our kids. But, when you have a child on the spectrum, that means that their communication is limited, their social skills are limited, etc. Maybe they have a stomachache and can't tell you, so they hit you. Maybe they want to play with a peer, but don't know how to initiate play so they hit the peer. This is why behavior analysis is important. This is also why we teach them a form of communication. This is why we teach them how to initiate play/conversation with others. The best thing staff and families can do is to educate everyone involved in the child's life about autism as well as the child's specific behaviors. This includes grandparents, aunts, cousins, neighbors, teachers, aids, bus drivers, etc. Don't leave anyone out! Do you have any advice for parents and caretakers of newly diagnosed children? My advice for parents of newly diagnosed children on the spectrum is to move quickly. Contact as many professionals as possible. Ask numerous questions. Write down all your questions, the answers you receive and all suggestions you hear. You, as the parent, may think you will remember everything that is told to you, but you get busy and you might forget. Also, don't be afraid to fight for your child. If you find something that works for your child, insist that it be implemented. Consistency is extremely important. Watch what the professionals are doing and do them yourself. Be honest with the professionals. The only way they can help you is if you are open and honest with them, even if it is embarrassing! If you are bothered by something they are doing or you do not understand what they are doing--ask! It may be very hard to follow all suggestions, but remember it will get worse before it gets better. There is a light at the end of the tunnel, and your hard work will pay off in the end.